Hello there, my name is Lee and I am a British Gas trained Gas Engineer with over 25 years experience in all aspects of plumbing & heating, Based in Ellistown, my local, family owned business services the whole East Midlands area and prides itself on offering a good quality, honest & reliable customer service experience with no job too big or too small. We are a forward thinking & progressive company, investing in training & equipment to ensure we are up to date with all the latest technologies, enabling us to offer the most efficient, energy saving & cost effective solutions to all of our customers gas requirements. We're a company that enjoys what we do, gets satisfaction from 'a job well done' & believes the customer comes first at all times. 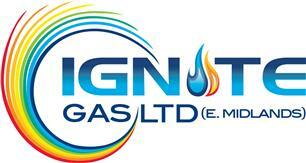 Our areas of expertise include; Gas appliance installation, servicing and repair. L.P.G. work, power-flushing and minor plumbing work, Landlord gas check, legionella tests and contract work. So, if you're looking for a local family run business with traditional values but with a modern outlook then give us a call. Our reviews speak for themselves. Thanks for reading, we hope to be of service to you soon.